13th Floor Magazine, University of Nebraska Omaha's only literary magazine, aims to connect the campus and community through the power of storytelling. 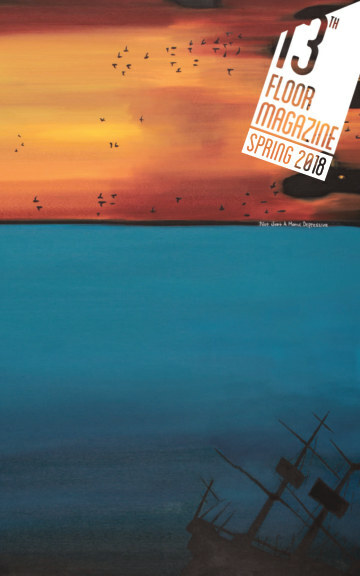 Through our innovative use of the online platform, we create a biannual eBook and print publication of short fiction, poetry, nonfiction, and art, from UNO students and alumni. 13th Floor Magazine believes in the equalizing power of communicating stories from our everyday, and we are committed to sharing a diverse portfolio of talent by means that makes us accessible around the world. We believe that by acting as a vessel between our community and the world, our local writers and artists can set for themselves a place at the table of national and international art and culture. And an introductory piece by Lead Poetry Editor Sophie Clark. 13th Floor Magazine is a nonprofit organization registered with the University of Nebraska Omaha. Royalties from all sales go solely to the publication of future issues.